Packaging Dimension (WxLxH) 20x60x4 cm. 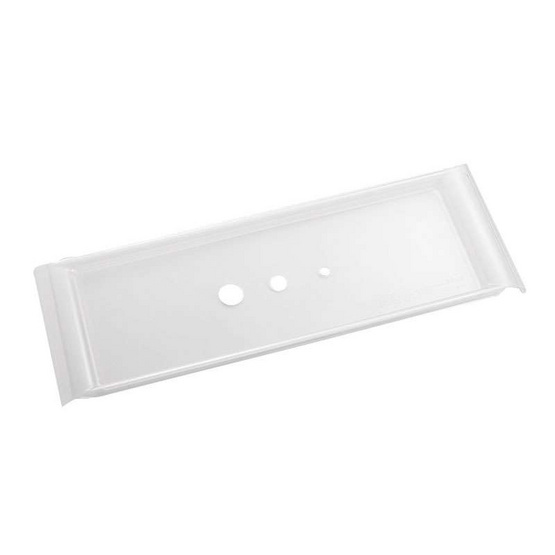 Sliding shelf for storing buckets, scoops, water wheels and other water tray accessories, with three holes to fit small plastic hosses and funnels. 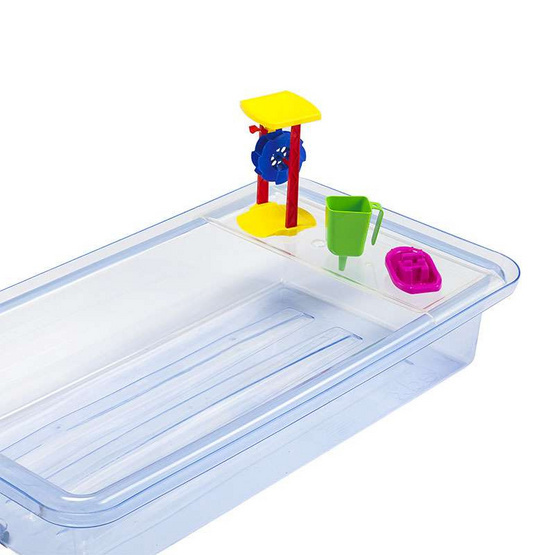 Suitable for all large Edx clear, blue and red water trays. Measures 20cmX60cm, and made from strong clear plastic.